Leading a cross-border IPO with an overseas client and advisors posed a challenge for Price Sierakowski. It was difficult to deliver a transparent and collaborative approach to the engagement. And, they found exchanging important transactional documents via email both inefficient and a security risk. A collaborative and transparent way to manage the IPO transaction checklist for all parties across different regions. Ease of use and fast adoption of the platform was possible. Plus, there were significant cost benefits for the client through the use of Workshare Transact on the matter. 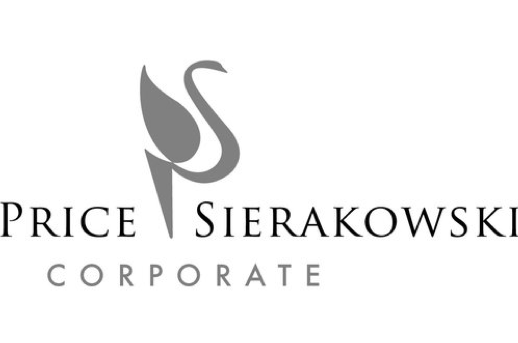 Price Sierakowski Corporate is a leading, boutique commercial law firm based in Perth, Australia. They have expertise in high-level corporate work, including Capital raisings, mergers and acquisitions, resources and energy, reconstructions and litigation. They promise clients an enduring relationship with their firm, which will achieve strong commercial results. The philosophy is that a trusted connection between lawyer and client leads to the deep understanding that's needed to offer truly valuable counsel; counsel that goes beyond top-of-mind thinking to insightful, proactive advice. Leading a cross-border IPO with an overseas client and advisors posed a challenge for Price Sierakowski. They found it difficult to incorporate a transparent and collaborative approach on the engagement. And they felt exchanging important transactional documents via email was ineffective. The Price Sierakowski team wanted to give full access to their IPO transactional framework, allowing key stakeholders to have visibility of the full scope of work. They also wanted to progress the transaction and related document updates as they were completed by all parties concerned. Workshare Transact was adopted on the IPO in an expedient manner. With the availability of the online tutorials and the design of Workshare Transact, internal and external personnel working on the IPO able to get on online and be productive within a very short period of time. Price Sierakowski incorporated their IPO transaction checklists, leveraging the firm’s IP for a successful IPO. The required stakeholders were invited to the secure workspace and given appropriate access to the relevant sections of the checklist. Documents were collaborated on during the drafting stage and with the use of the audit function and built-in document comparison capability, a full log of access and file updates were available to regional parties. As the matter progressed, the online IPO checklist was updated with status, notes and supporting schedules for review. Stakeholders were also aware of remaining sections outstanding and overall progress of the IPO work through status updates in the platform. "We have been really impressed with Workshare and go5Plus with the introduction of Workshare Transact. We imported our firms IPO checklist in no time and were up and running, collaborating with our client in a really effective manner. Workshare Transact is very intuitive to use and we estimate we saved our client in the vicinity of $15,000 [AUD] using the technology on this matter. “Workshare Transact was identified as the best fit SaaS technology for Price Sierkowski’s cross-border IPO not long after our initial engagement.